Cooking Class with PWA Chef Dacki atbp! 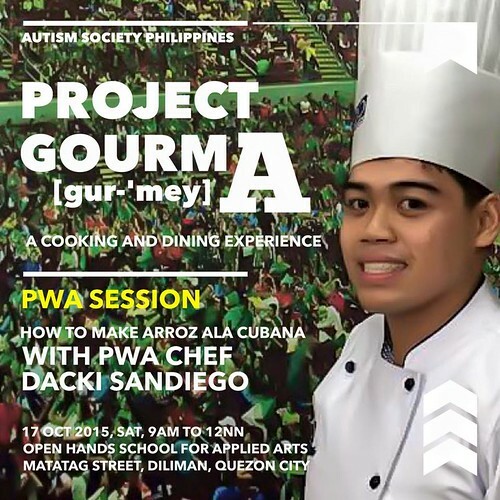 In April 2015, ASP launched Project Gourm-A [pronounced gur-'mey], a program which aims to showcase skills of individuals on the spectrum in the food and restaurant industry. In our first event, we brought the public a dining experience with a difference, featuring adults with autism at Gourmet Gypsy. 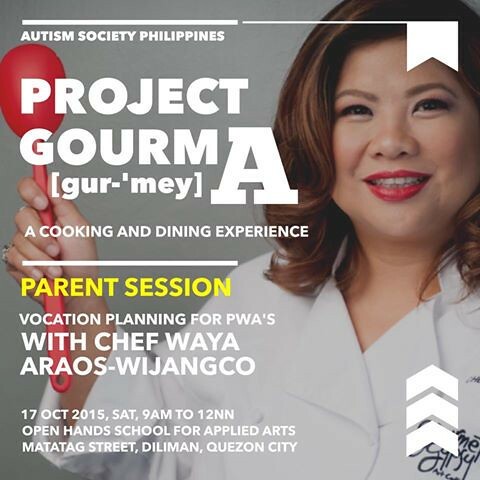 For the project's next salvo, ASP is proud to host a multi-faceted Project GourmA experience where kids cook, parents learn and the families dine! 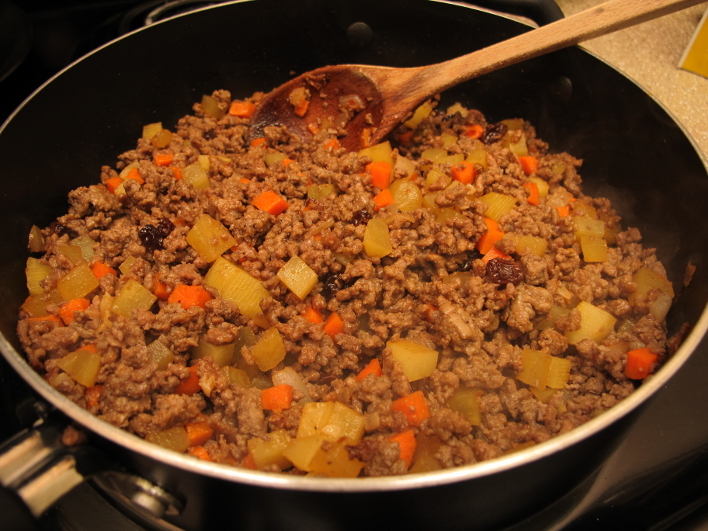 Kids may join a one-dish cooking class composed of 12 youth on the spectrum (from 13 and up), who are independent in the kitchen and would not need assistance in executing basic tasks. This special cooking class will be led by PWA Chef Dacki Sandiego and Project Gourm-A Manager Al Pena, dad of aspiring PWA baker Muneer. The Dish: Arroz a la Cubana consists of ground meat sauteed with onions, garlic, tomato sauce, diced veggies, serves with white rice, a fried egg and a fried plantain, sliced length-wise. The Teacher: Carmelo Sebastian "Dacki" Sandiego is an inspiring young culinary professional. Chef Dacki started off as a student in Community of Learners and moved on to graduate from the Center for Culinary Arts. A former Special Olympics Global Ambassador, Dacki continues to be a fitness enthusiast. He now works at Puzzle Cafe as a sous chef and nurtures his budding catering business. While the kids are cooking, the parents and guardians may participate in an interactive forum on "Vocation Planning for PWAs" presented by Chef Waya Araos-Wijangco, founder of Open Hands School for Applied Arts and moderated by ASP. The session aims to empower parents in preparing their children with autism for an independent life despite—or with the help of—their exceptionalities. Angie Sandiego, mom of Chef Dacki, and graduates of Open Hands will share their experiences in finding a vocation. The highlight of the family session is when the kids are ready with the meal. The plated food which the kids have prepared will be served to the families. During lunch, the certificates of completion will be awarded. Payment must be received to confirm slot. Please fill out the form below.